TransFormers Age of Extinction First Trailer Now Out!!! Paramount pictures releases first official trailer revealing new footage and overall plot idea for Transformers Age of Extinction. Watch it after the jump. Four years after the catastrophic events in Chicago, Earth has mostly recovered from the great war between the Autobots and the Decepticons. But when Cade Yeager (Wahlberg), a struggling inventor, and his daughter, Tessa (Peltz) discover Optimus Prime, they bring down Decepticons, Autobots and the US government on them. Now with the Decepticons plotting to destroy Earth once again, and a paranoid government official on his tail, Cade must join the Autobots, and Optimus Prime must align with the ancient Dinobots to save Earth. Correct me if I'm wrong but this is probably the first time we will hear the humans calling the Autobots/Decepticons as TransFormers. Cheezy but hits some retro feel inside me and I like it. 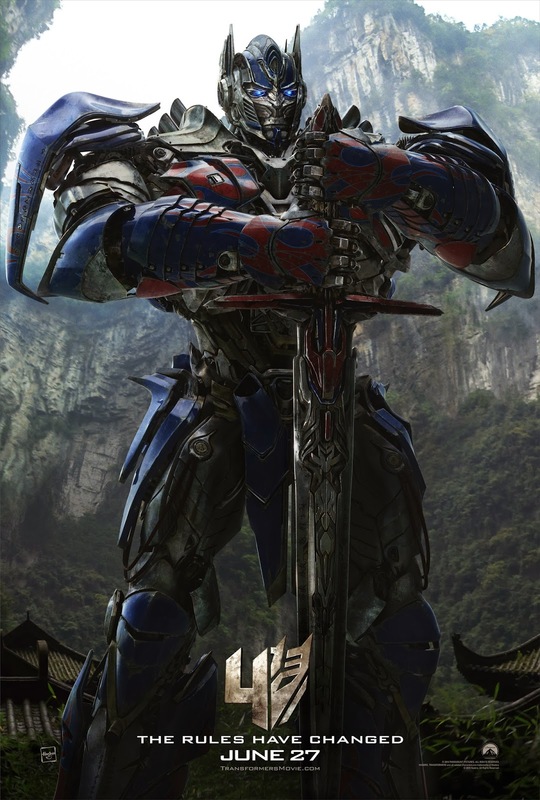 Not sure though if I like Optimus' Knight motif.. And despite all of my reservations, Dinobots are more than enough reason to check this new film on the franchise. So excited for this. Coming soon on cinemas nationwide, Transformers Age of Extinction is to be distributed by United International Pictures through Solar Entertainment Columbia Pictures in Philippines.